Marketers have long been on the front lines when it comes to adopting new technologies. From augmented reality and voice search to artificial intelligence and blockchain, to get ahead, you need to understand how these technologies will disrupt digital advertising — or risk being left behind. While people are more familiar with the concept of blockchain now than they were at the advent of bitcoin back in January 2009, experts agree that defining blockchain today is a lot like defining the internet back in the early 90s. According to research conducted by HubSpot, blockchain is one of the most confusing emerging technologies out there. Most people still can’t clearly define what blockchain is, let alone how it will shape the future of marketing. So, before we get into the potential benefits of blockchain technology for digital marketing, let’s take a step back and define it. Put simply, blockchain technology allows people to transfer items of value directly between each other without a third-party intermediary. For example, people can mine and trade bitcoin using blockchain technology without having to use a bank or online payment service, such as PayPal, Western Union, Venmo, and others. That’s because blockchain provides a shared, trusted, public ledger. When you transfer bitcoin on the blockchain, instead of the bank keeping a record of your transaction, the transaction history is stored as a “block” that can only be built upon, not changed. This block is updated across the entire network, so there is no one centralized record of the transaction history. Everyone can see the record, and in order to make a change (e.g., if someone were trying to hack it) the majority of users would need to approve the change. This method of exchange revolutionizes the way we think about trust in business. Now, you can trade directly with another person – who you may or may not know – and have confidence that the transaction will be valid. Not only that, but it is immutable. It turns the fundamental building block of our current commerce system, that “I must trust you in order to transact with you” methodology, on its head. Blockchain is decentralized, which means that no one entity or governing body is in charge of the record. Transactions are recorded as part of a permanent record that cannot be altered without a majority consensus – offering greater cybersecurity. Every user is already verified, which eliminates the need for a middle man to approve each transaction. In the current digital marketing ecosystem, people have little control over their personal data. Marketers can store and capture information about users for later use with ease. On the flip side, marketers have little control over many forms of digital advertising, because they rely on intermediaries like Google, Facebook, YouTube, and others to place their content in front of potential customers. Blockchain technology has the potential to place control back into the hands of the consumer and marketers. It could also revolutionize how marketers think about promoting their products and services. Let’s take a look at digital advertising first. Currently, digital advertising is built on a model where trusted media sites (like Google and Facebook) act as middlemen, facilitating the ad buying and selling process. Value is siphoned out through this advertising supply chain, so much so that one report suggests only 40 percent of programmatic ad spending makes it to the publisher selling the ad space. In 2016, Forrester Research reported that up to 56 percent of marketers’ advertising spend was lost the year prior due to fraudulent inventory. 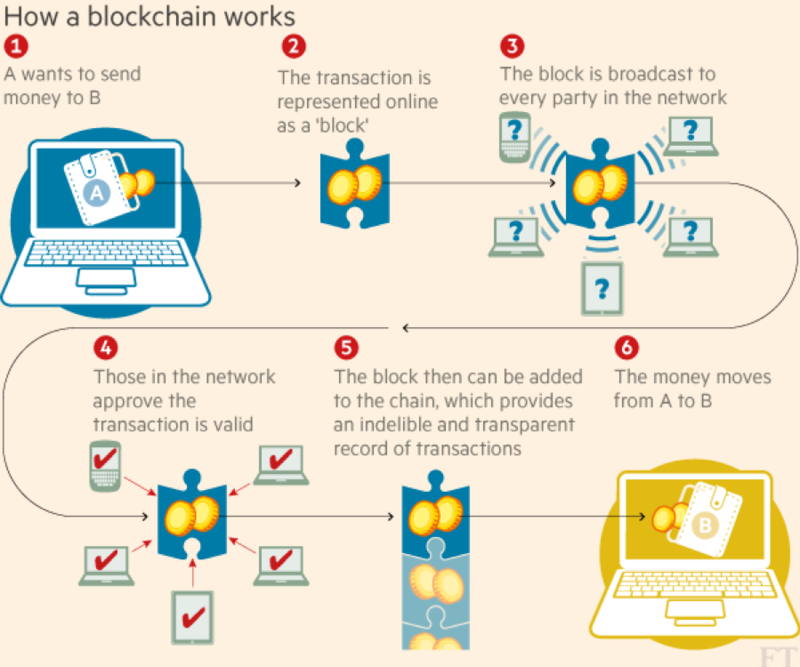 With blockchain, marketers could disrupt this model by transacting directly with the user. Using microtransactions as an incentive, you would be able to pay a user for consuming your ad content or sharing their contact information. Marketers will no longer need to rely on or pay trusted media sites to place their advertisements, which can save money and prevent ad fraud. By leveraging blockchain technology, marketing teams will be able to run their own digital ads and monitor who viewed their organization’s ads. With this added visibility, they could quickly cut off any fraudulent or bot-driven advertising activity before it starts. Customers can charge for their time and attention. This allows them to consume only the advertisements that are relevant to their interests and enjoy greater privacy by restricting who can access their personal information. 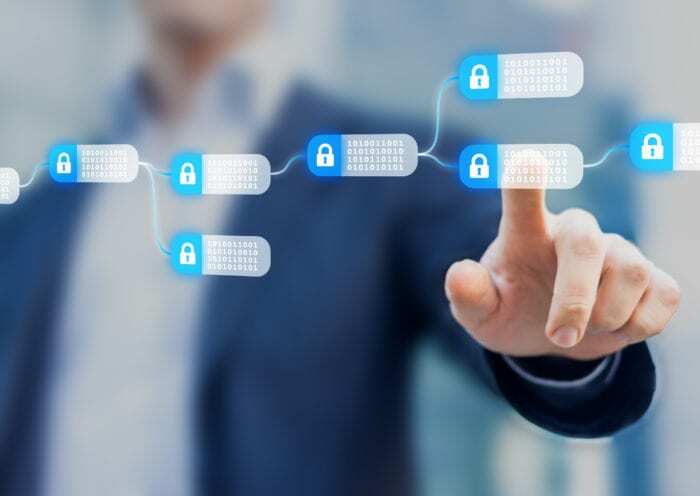 Businesses can take advantage of what is referred to as a smart contract, which defines the rules and penalties around a marketing agreement and automatically enforces them. So, if a company promises to get your website to the top spot on Google search within two months and fails, your smart contract will ensure that they are only paid 75 percent of the agreed upon amount (or whatever the penalty for non-delivery is). Digital advertising isn’t the only thing that will be affected. Offline marketing can benefit from blockchain technology as well. One real-world example of a company taking advantage of blockchain technology for marketing is Walmart. Working with IBM, Walmart was able to build a solution that tracks food products throughout its supply chain using IBM Food Trust built on the IBM Blockchain Platform. This innovation was driven in part due to concerns around the sources of pork in China, but has since been expanded to include a long list of suppliers. While it appears that Walmart’s primary goal is food safety, this easily accessible record of the supply chain could eventually be used as a selling point for consumers. Imagine if you could scan a QR code on your bananas to see exactly which farm they originated from – and whether that “organic” label is authentic. This is only a small fraction of the possibilities that blockchain technology affords marketers. Going forward, it will be important to start exploring how this technology could reach your customers. Because whether or not blockchain will be widely adopted by marketers is no longer a question of if, but when.